Maxar Technologies SSL has exercised their right to terminate participation in the Robotic Servicing of Geosynchronous Satellites (RSGS) program, a public-private partnership with the U.S. Defense Advanced Research Projects Agency (DARPA), citing a need to focus its resources on ensuring optimal returns when weighed against other capital priorities, such as WorldView Legion. 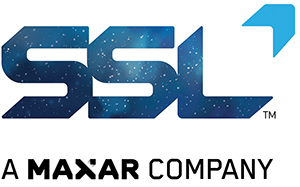 SSL has notified DARPA that it has decided to discontinue its participation in RSGS, an option available at this time under the terms of the Other Transaction Agreement between the company and the agency. This decision is consistent with Maxar’s commitment to disciplined prioritization of capital. Maxar remains confident in the potential of the on-orbit servicing market and the value of public private partnerships. SSL will also be terminating its associated contract with Space Infrastructure Services LLC, which SSL was awarded in June 2017 to develop a servicing spacecraft vehicle for the RSGS program. Signed in 2017, the Other Transaction Agreement called for DARPA to develop the dexterous robotic payload and provide a government-funded launch. SSL was responsible for funding the development of the spacecraft bus and integrating the resulting robotic servicing spacecraft with the launch vehicle, as well as providing operations staff over the full mission duration. Richard White, President of SSL Government Systems, said that while the company is disappointed that economically viable path to support RSGS and meet our return criteria could not be found, the company is dedicated to partnering with the U.S. government to realize the full potential of in-space robotic servicing of spacecraft, as well as assembly and manufacturing in space. At Maxar, the company is uniquely positioned to leverage technology and expertise from across the firm's businesses to accelerate innovation for the new space economy. SSL Government Services is proud of the firm's leadership in space robotics, including the pioneering work in NASA’s Restore-L mission to refuel LANDSAT-7, and the pursuit of leading-edge opportunities will continue.